After a super long hiatus, I’m finally back! 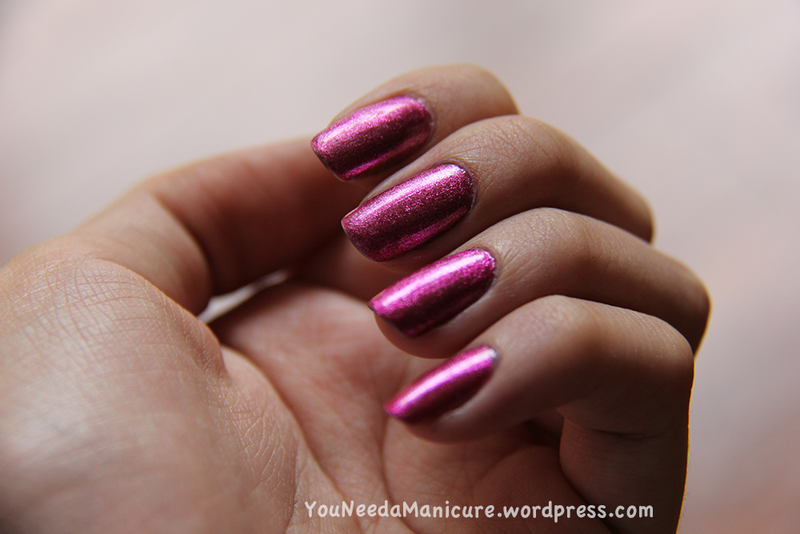 Today I will be reviewing a polish that is a little high-end – Butter London’s Henley Regatta. I got this quite some time ago and totally forgot about it until now. หลังจากที่พักหายไประยะยาว ในที่สุดก็กลับมาแล้วค่ะ วันนี้เราจะมารีวิวยาทาเล็บที่ค่อนข้างไฮเอนด์เล็กน้อย (ปกติที่เรารีวิวจะราคาไม่ค่อยสูงมากเท่าไหร่) – Butter London Henley Regatta สีนี้จริงๆ เราซื้อมาสักพักและลืมมันไปแล้วจนเมื่อไม่นานมานี้เพิ่งนึกขึ้นได้ว่า เฮ้ย เราก็มีอยู่นะ 555 Henley Regatta is a fusion of emerald green and teal glitter in clear base polish. 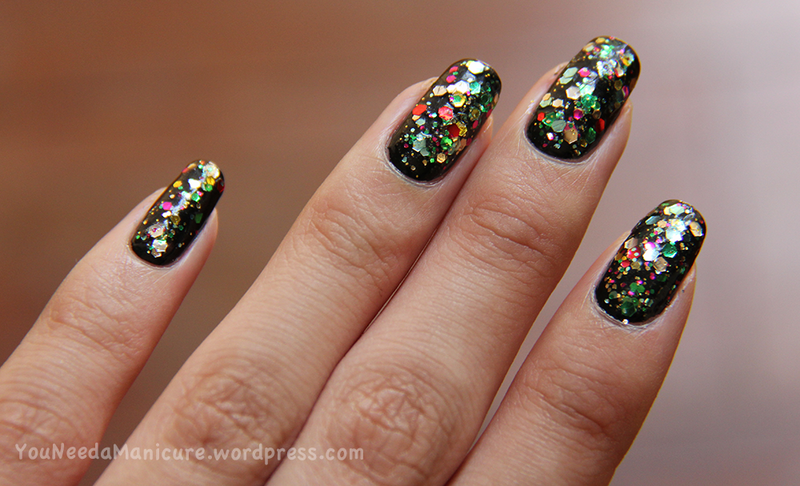 The formula for this one was great, although three coats are needed for opacity. Here I applied three coats with no top coat. You can definitely use this for layering over darker colors. 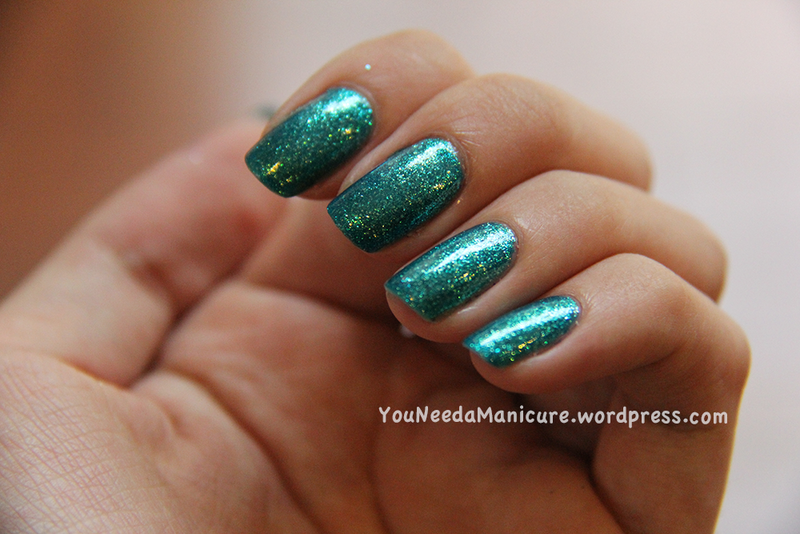 The teal glitter isn’t very noticeable, although when combined with the green, gives off beautiful sparkles. 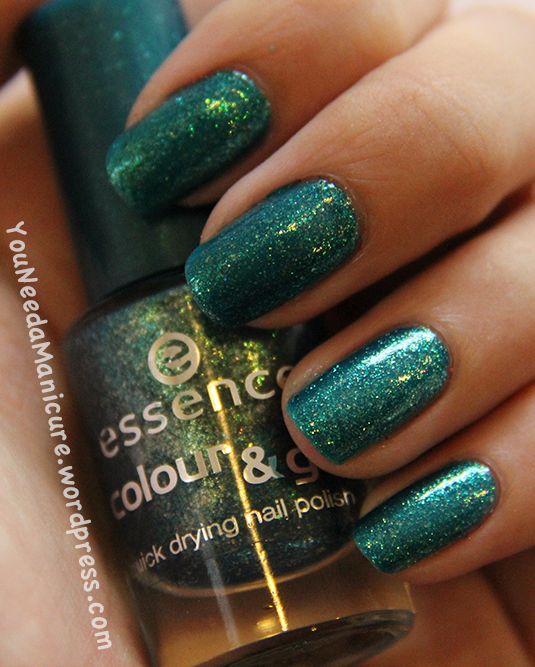 The color really does remind me of Essence Choose Me!, but I definitely prefer this one more. I don’t wear a lot of green but I do think this is definitely a wearable color. 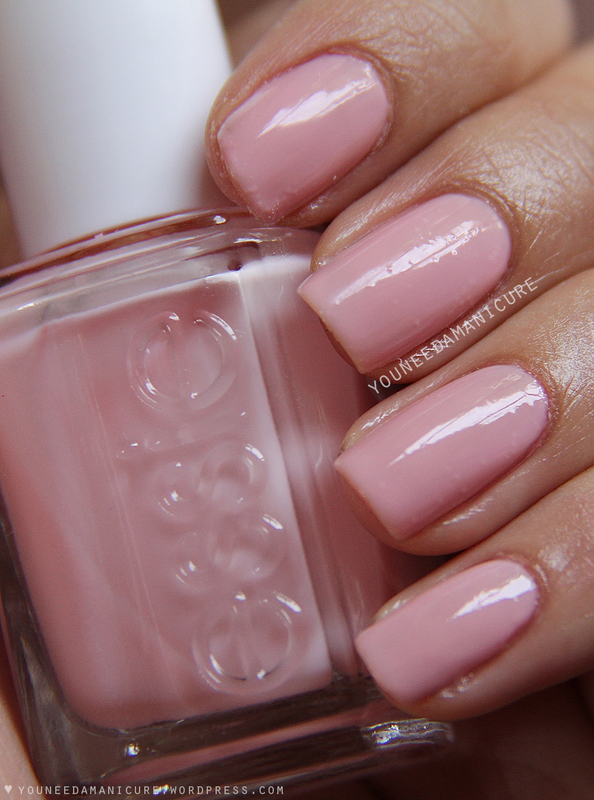 In today’s post I have for you guys Essie’s Pop Art Pink from Essie’s Spring Collection in 2010. My mom chose this color for me, so this polish is quite special. The first time I used it, I really hated this color. But I’m going to be gone from February 4 to 8th to Khao Lak for a school residential trip (that means no changing polish for 4 days!) and wanted a natural looking shade to wear, so I decided to give this polish another try. 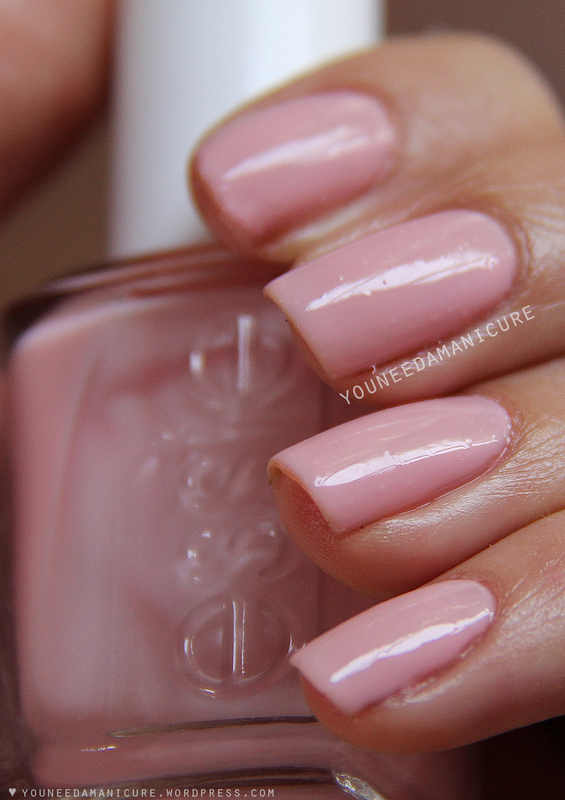 I rarely wear pink except for natural looking jelly/sheer ones, but this is one of my favorites. With one coat the color comes off as a natural looking jelly polish. 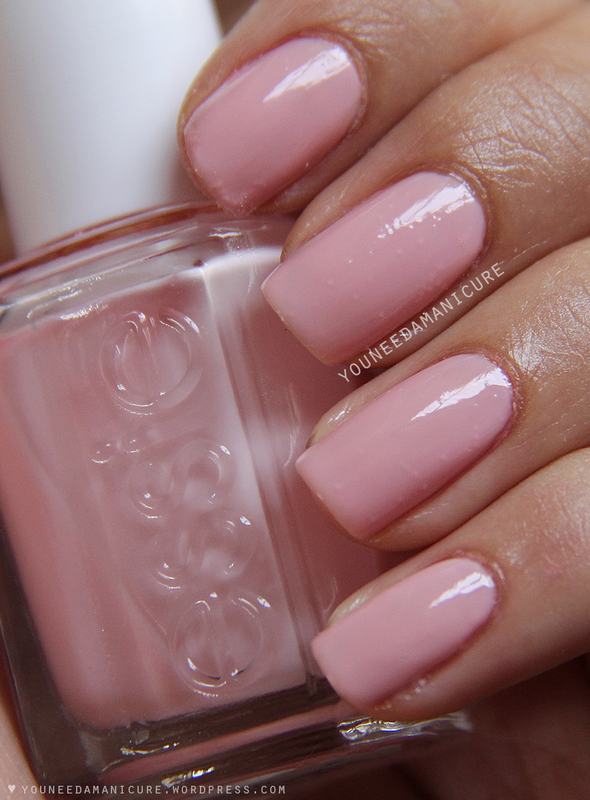 With two or three coats, it turns to a milky-pink jelly color. The formula for this is okay. To apply it well with thin coats, you have to be quick because the polish drys very fast. With thick coats it works well just like regular polish. There are also some bubbling that occurred during dry time. The polish dries glossy, so I decided not to apply any topcoat. Here I have on two coats. After taking photos of these swatches I decided to add topcoat to the nails that had bubbles, and the bubbles disappeared. Weird, huh? Also, my pointy finger nail broke again, sorry. Please ignore it! Overall, I really like this color! It’s pretty versatile too. 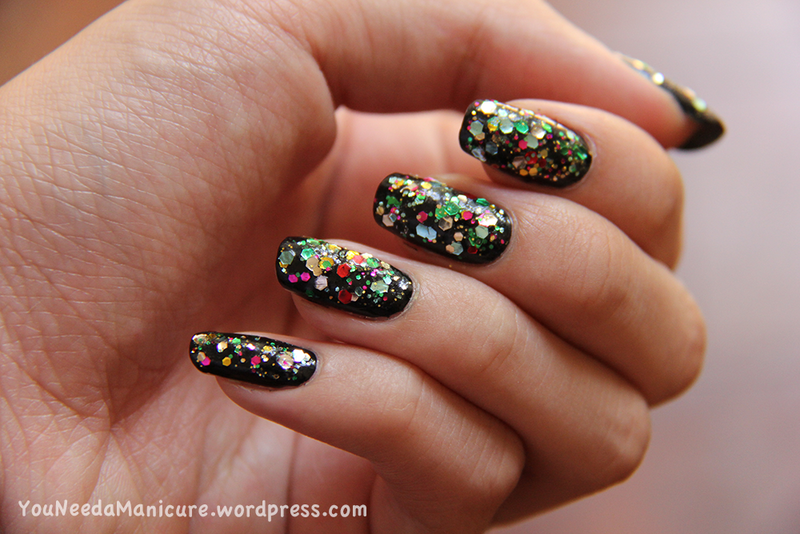 You can wear it with one coat for a natural look, or two or three coats for it to be opaque. I think this polish is super girly and fun. What do you think? Hello! 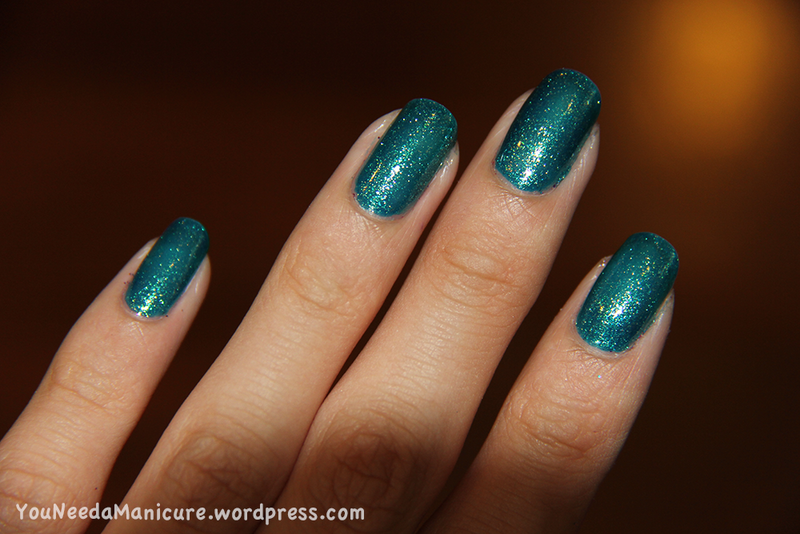 Today I have for you guys swatches of OPI’s Tomorrow Never Dies from OPI’s Holiday 2012 collection Skyfall. I decided to cut my nails on my left hand short because I started to think it was weird having nails on my left hand longer than the right hand. Haha. 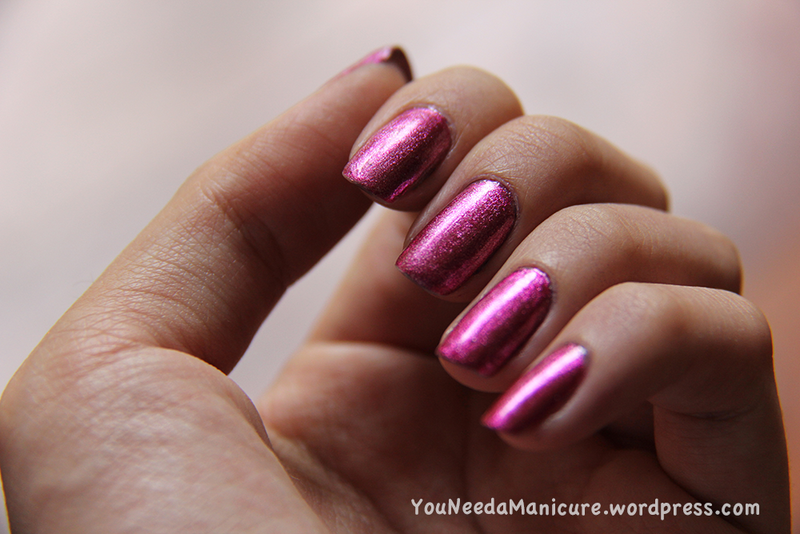 Tomorrow Never Dies is a metallic dark blue-purple with blue and pink shimmers. 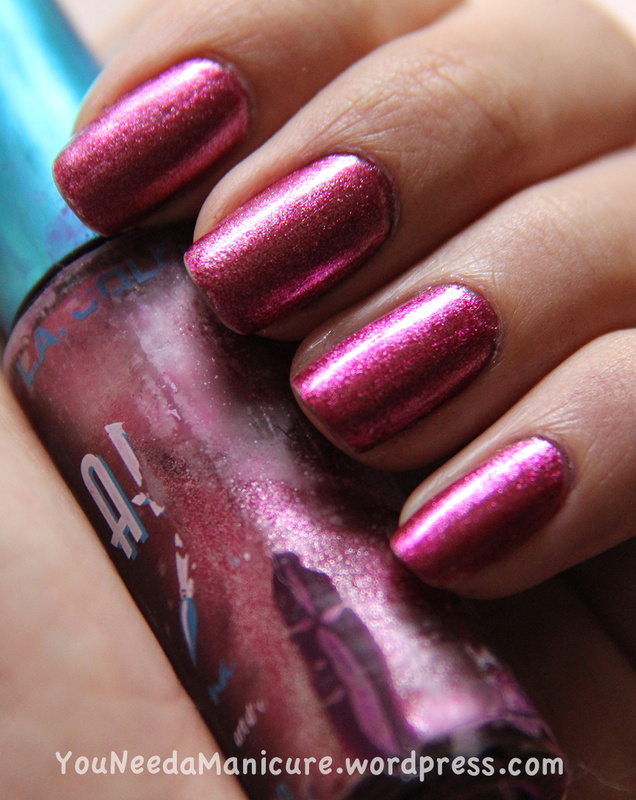 The blue and pink shimmers are barely visible even with flash, but can be seen in the bottle. 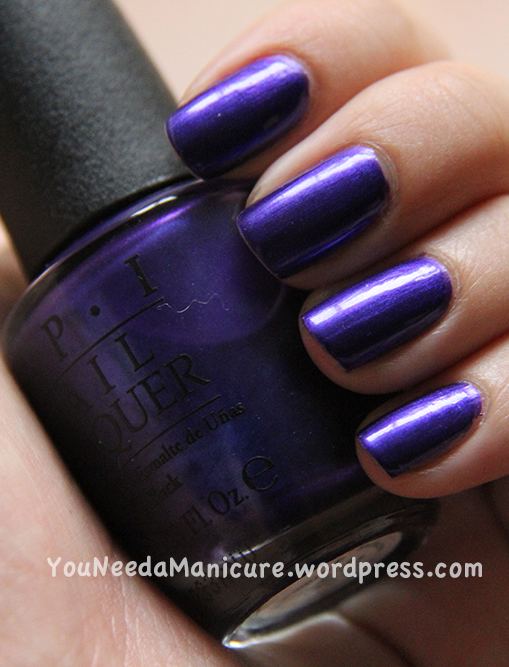 This polish can appear dark blue or purple depending on the light, which I absolutely LOVE! I was glad I ordered this polish and have this in my stash. I was reluctant about ordering this polish at first but after reading WorkPlayPolish‘s post and a few other posts out there, I decided to order this. I think I’ve also discovered my love for metallic polish. 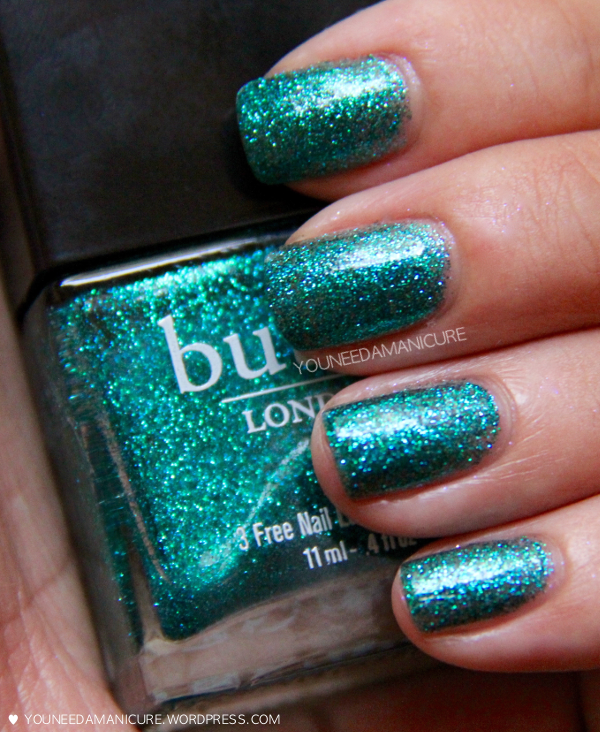 Below are bottle shots to show you the beautiful shimmers. It also shows how the color of the polish appears depending on the light. Here I applied 2 coats with a layer of Seche Vite topcoat. I ran out of my Essie Good to Go and found Seche Vite in the store, so I decided to try Seche out. The polish was a bit runny and needs at least 2 coats to be opaque. Dry time was fast. 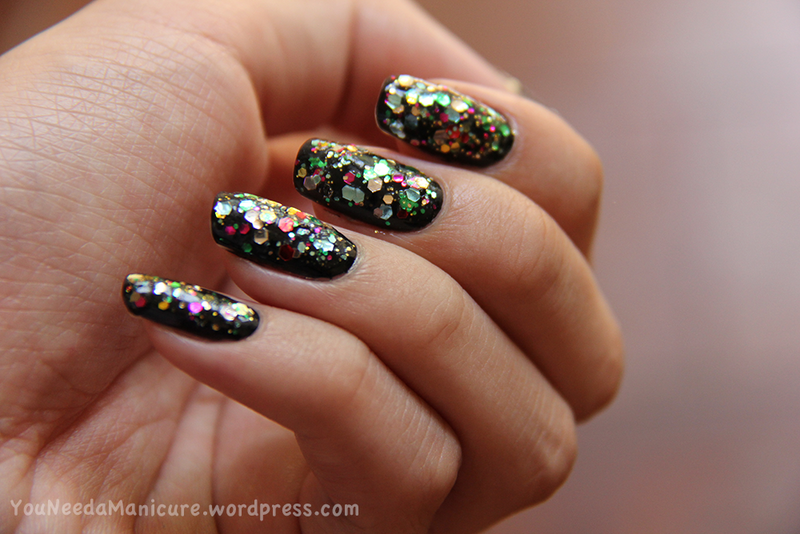 You can find more about OPI’s Tomorrow Never Dies from OPI’s Holiday 2012 collection Skyfall on their website here. Today I have for you guys Essence’s Choose Me! I was given this through a nail mail swap from one of my nail mail buddy from Ireland. Choose Me! 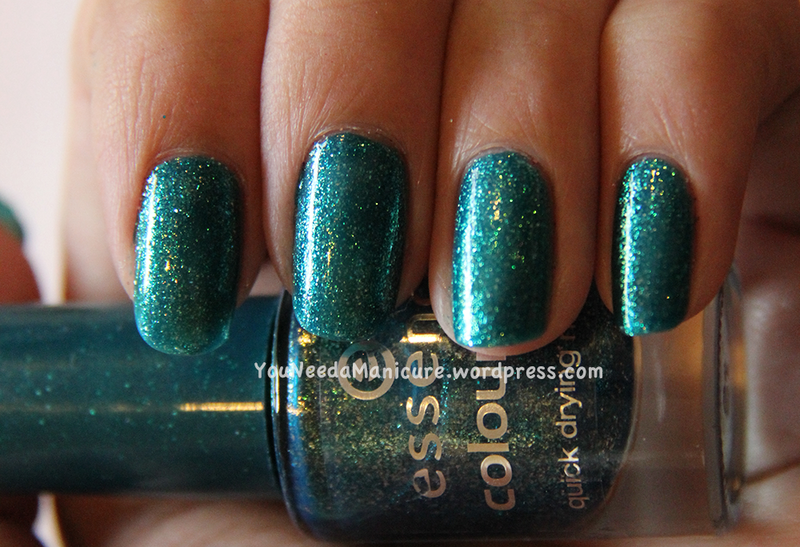 contains silver and gold flecks within a blue-green sheer base. Indoors its a green color, but in sunlight it appears a bit blue. The formula was easy to apply and dry time was fast. I love the sparkle and the brush in my opinion, is easy to use. 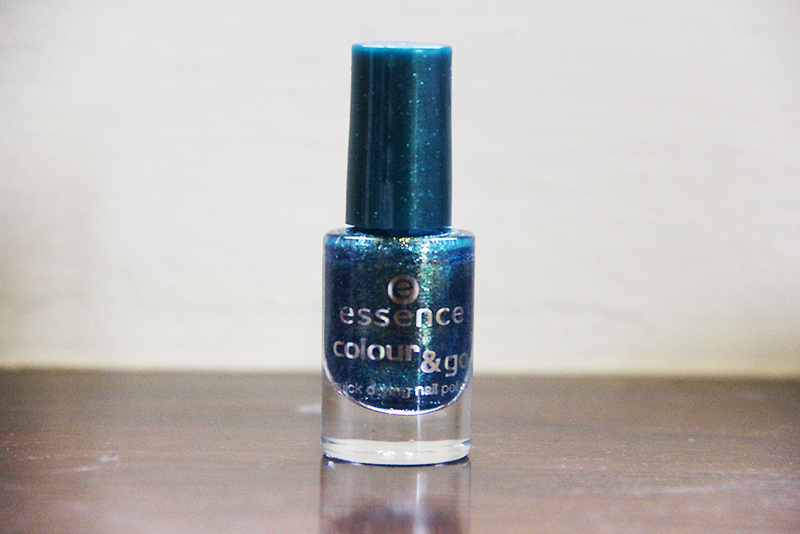 This is my first time with Essence nail polish, and I am overall very impressed, both by the color and the bottle. I love how the bottle is small, but not too small. A downside to this polish though, is that they do stain your nails a tiny bit of green. However the stain can be removed with nail polish remover. 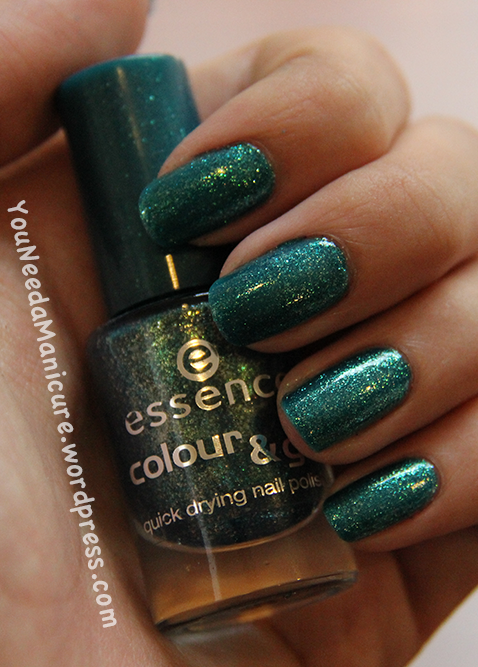 I will definitely check out more of Essence’s polishes soon! 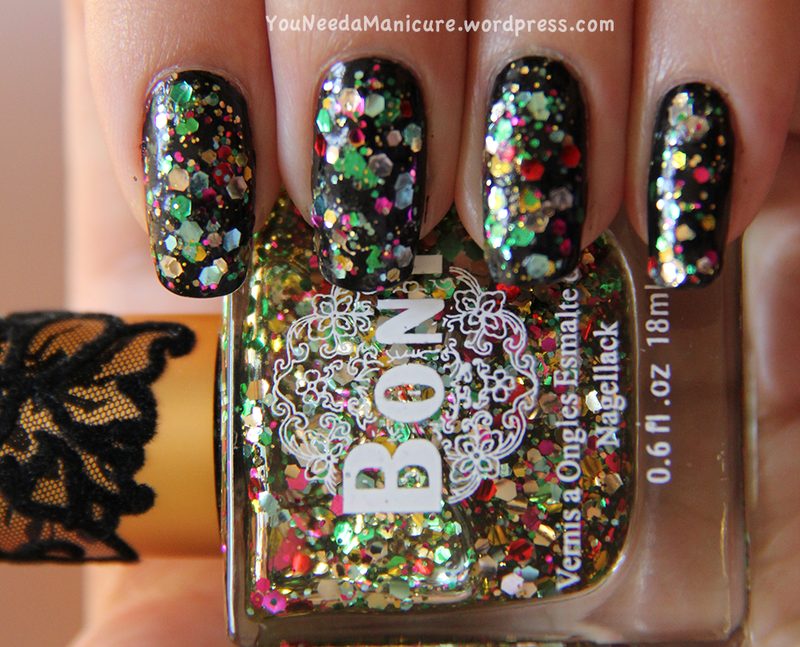 For this mani, I applied 2 layers of OPI Onyx, then 2 layers of BONi M122. I didn’t add topcoat because I was afraid it will be too thick. 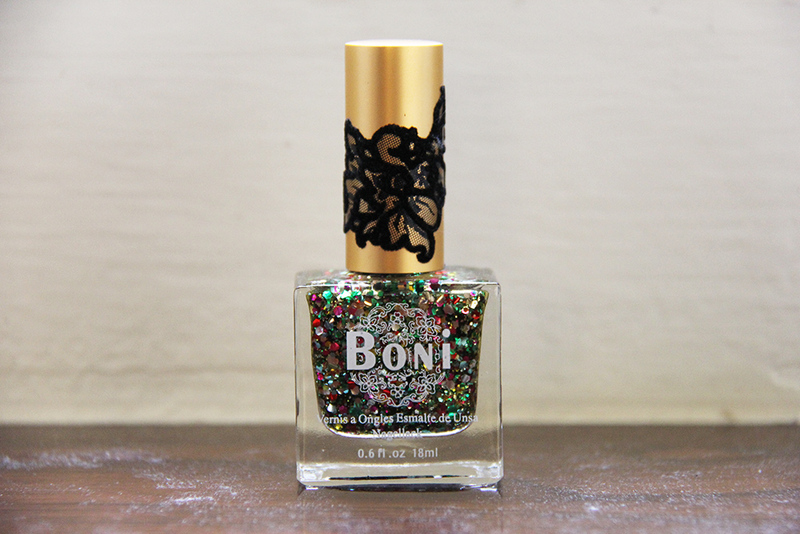 The BONi M122 polish applied nicely, but just like many other glitter polishes, I had to push the glitter around with the brush in order to have a overall coverage on the nail plate. The glitter didn’t dry very smooth though. 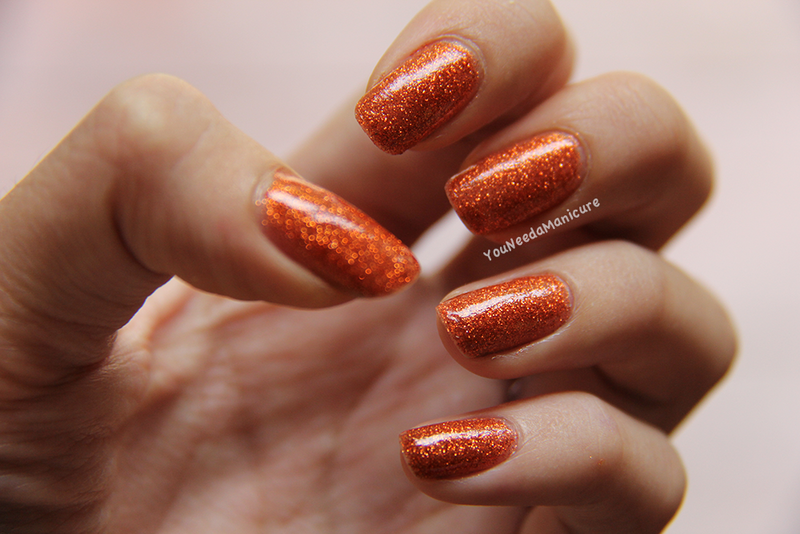 I believe this is a polish from Korea… one of my favorites!